Some neo-Gregorian chants were locally composed, while others were imported from other regions. Both imported and local chants reveal the stylistic preferences of local cantors and the interconnections between chant composition and saints’ cults and thereby shed light on issues related to the oldest musical repertories of medieval Europe, such as the Byzantine, Roman, Ambrosian, and Beneventan chants. Ultimately, they lead us into a deeper understanding of the musical culture of medieval southern Italy, a territory that, at different times, had been the theatre of incursions and invasions by many peoples (Lombards, Byzantines, Muslims, Normans, Franks, and Romans) and that was also the home to several flourishing Jewish communities. 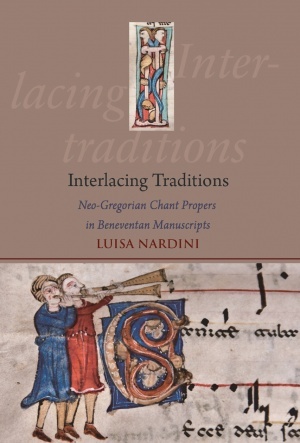 The book’s rigorous historical analysis is supported by comprehensive tables, appendices, and indexes; it is also enriched by musical and textual transcriptions as well as images from relevant manuscripts.